While Iceland hosts an amazing variety of awesome landscapes, what stands out to me most are its incredible exposures of the Mid-Atlantic ridge. To the north and south, the ridge lies beneath some 2500m of water, forming a rift that separates the North American plate from the Eurasian plate. The rift spreads apart at a rate of some 2.5 cm/year, forming new oceanic lithosphere in the process. But in Iceland, you can actually walk around in it! 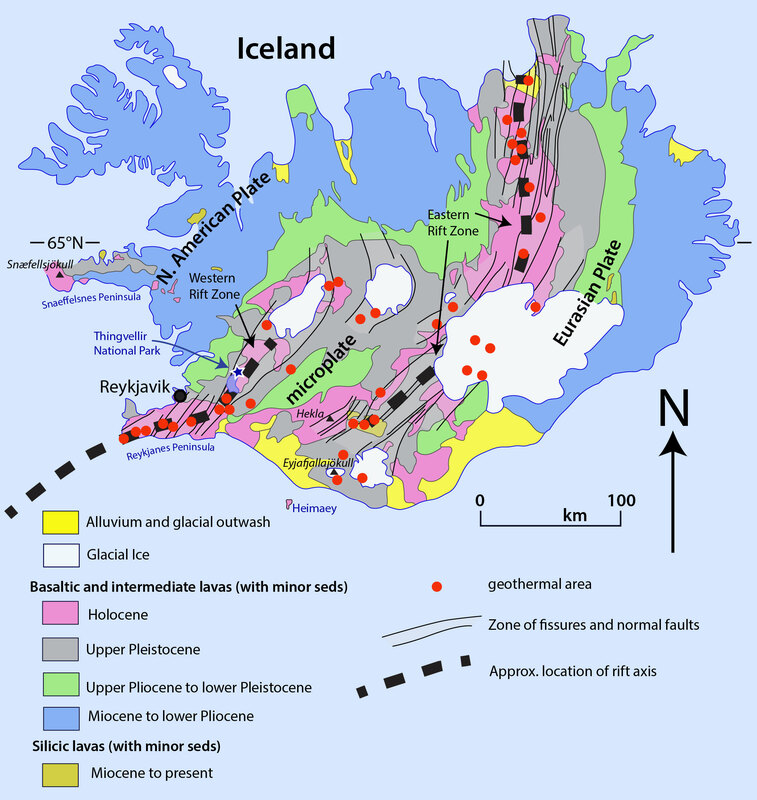 Geologic map of Iceland as compiled from references listed below.